Scotland is pulling out all the stops to honor its national bard. This weekend is the grand opening celebration of the revamped Robert Burns Birthplace Museum. Set on 10 acres in Alloway, Ayrshire (a short bus ride from Glasgow), it replaces what was formerly the Burns National Heritage Park and encompasses several historic sites related to the poet. There is free admission tomorrow, January 22, along with live music, poetry readings, and fireworks. The new museum building showcases more than 5,000 artifacts, some being unveiled to the public for the first time. Among the treasures are a manuscript of the original copy of “Auld Lange Syne” and a window pane from an old inn that Burns inscibred with a stanza of poetry. 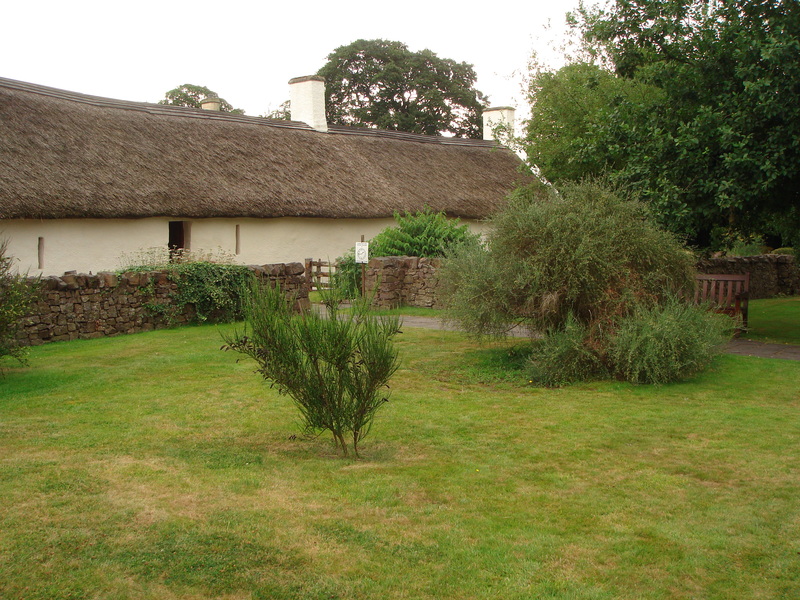 Also located on the museum grounds are the tiny, thatched-roof cottage (right) where Burns was born in 1759, Auld Kirk, the 16th-century ruins of a church featured in “Tam O’Shanter,” and other literary landmarks. Restaurants, pubs, hotels, and dining halls all over Scotland celebrate this special night. London establishments are getting in on the act, too. Stateside, check to see if there are Burns Night festivities in your town. If you live in Jamaica Plain, Massachusetts, The Haven restaurant is putting on feasts January 24-26. If you’d like to host your own gathering, Scotland.org has a Burns Supper Guide with tips on food, drink, attire, and entertainment. For iPhone users, the guide is included on a free Robert Burns App along with a biography, visual timeline of the bard’s life, and more than 500 poems and love songs.